You guys are so fast about the first snow! I like the doll. So cute!!! 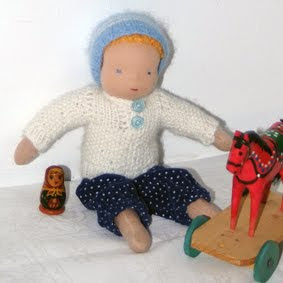 Very cute doll, and nice sweather too!! !